Paying a rake is normal when playing online poker and most sites offer a consistent rate so players still want to hit the felt. In the fall of 2014, PokerStars decided to announce they were planning a rake increase, an announcement that did not go over well with online poker players. After a short time of rake increases in certain gaming aspects as well as additional planned rake increase in other gaming areas, the online poker room has now decided to cancel the changes and revert back to the previous rake rate. According to PokerNews, the online poker room first increased the rake in early November for the heads-up hyper-turbo SNG tournaments. The poker site also was set to add more rake increases by 2015. The changes that took place as well as the plans for additional rake increases have now been canceled except for the changes to the Spin & Go games which took place on the 3rd of November. In this instance, the rake was increased to 6% for events with $3 and $7 buy-ins. Larger events of $15 and $30 saw an increase to 5%. 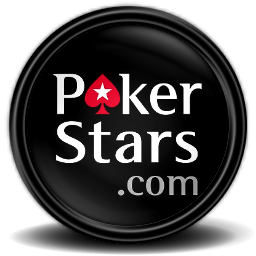 The announcement of the cancellation was made on the PokerStars blog by Head of Corporate Communications for PokerStars and Amaya Inc., Eric Hollreiser. In the blog post, Hollreiser stated that after analyzing and considering the changes, the brand has now decided to return the rake to pre-November 3rd levels in most cases and will not be making any further changes with a rake increase. The post stated that an increase will not take place this year in areas other than the jurisdictions where PokerStars has already or will be experiencing an increase in gaming duty or VAT. Despite the fact that PokerStars will not be increasing the rake rate, other changes can be expected including with the VPP multipliers seeing a reduction for countries where VAT and/or Gaming Duty are payable. Similar jurisdictions may also see possible rake surcharges.